The world's first streaming videogame service is now available in regions outside of the U.S.
OnLive currently allows users to play videogames on their PCs by streaming them from OnLive servers through the internet, negating system requirements, but the service was previously only available in the U.S. Traveling too far from the OnLive "data centers" meant that the service couldn't be used. This won't be the case for much longer, as OnLive has announced that it'll be increasingly adding support throughout the rest of the world. Specific regions weren't directly named other than the announcement of launches in Belgium and Luxembourg, but OnLive says it'll be playable both "overseas" and "over the border." For now, until specifics are worked out, OnLive says: "The best way to see if OnLive works for you outside the U.S. is to give it a try." The company plans to continually open non-U.S. data centers in the future and says it'll get "steadily better" with increasing range in the coming months. 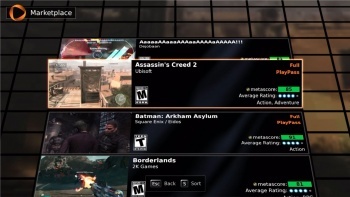 This worldwide support adds another advantage to using the service, as an OnLive game could potentially be played on multiple computers throughout someone's travels on many different computers. Whether the service is something you'd use or not, few other companies can say they improve at such a quick rate, with OnLive also announcing Wi-Fi support and the dropping of monthly fees in the past two months. With Gaikai and other potential competitors on the horizon, these constant improvements aren't a bad idea at all.